This one should be familiar to a number of you, dear readers. 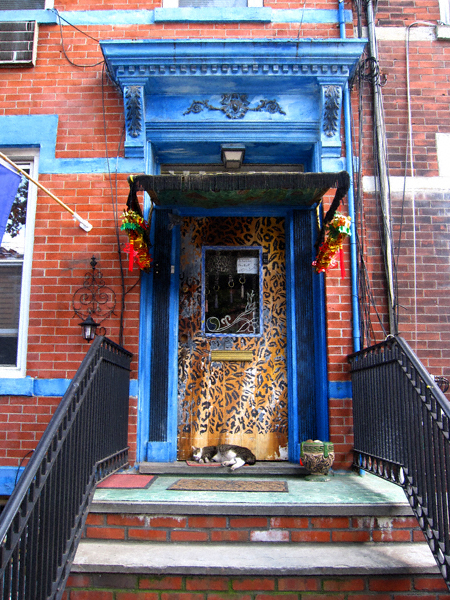 It graces 128 Beadel Street which is easily my favorite house in Greenpoint— and possibly all of New York City. Well, the owner of this house has reached out to me and today I met him face-to-face. Not only is he a very nice guy, but he gave me the full tour! Stay tuned, you will not be disappointed! 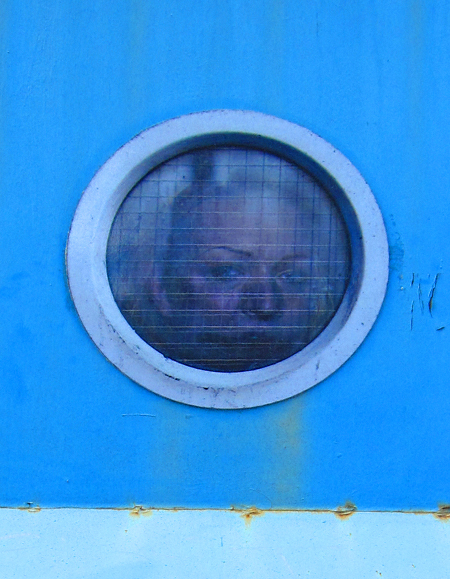 that is one freaky picture of the blue door. is that a photo behind the glass or just a really sketchy soul peering out? that first pic is cool, I was just checking out the artist’s set, you captured the same exact pic as on his flickr site! Alas it is only a photograph. It definitely took me by surprise though! 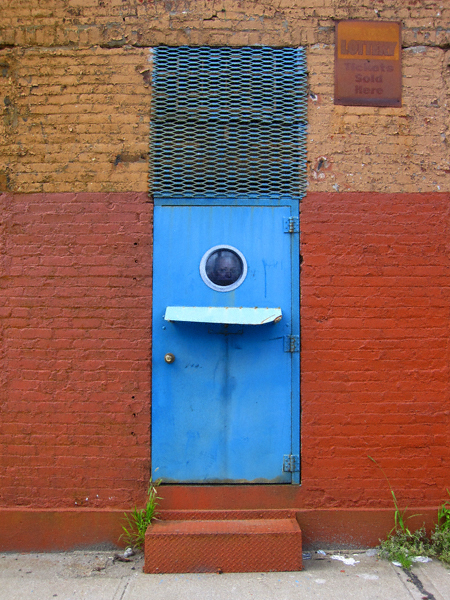 I love that top blue door pic!! And how cool to meet the man behind your favorite door. I am sure the inside will be just as… festive. Nice shot with the curled up kitty, too. http://www.flickr.com/photos/55548800@N00/sets/72157619390638447/ here are the other pics of his art around town, pretty cool!